Milan is the capital of all Italian chic and world’s cradle of high-class fashion. However it’s not only the fashion that draws people to Milan, it offers an abundance of world heritage sites, museums, galleries, cultural institutions, famous opera house, scrumptious a la carte restaurants and plenty of activities to take part in. This is a bustling city of business, banking as well as fashion. 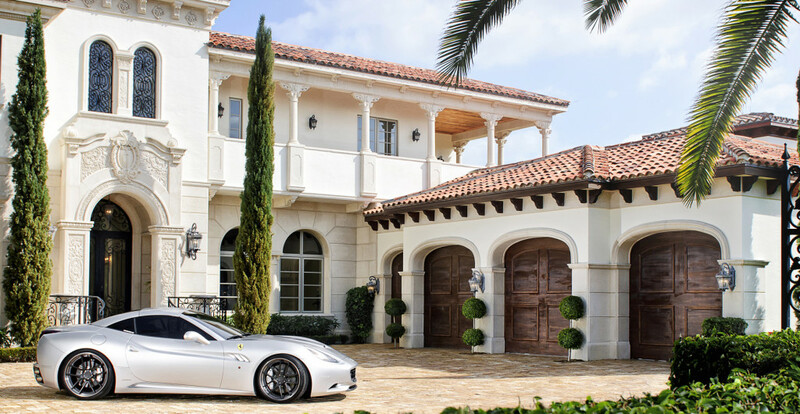 Living luxuriously in Milan comes naturally, especially with Empire Luxury Club’s offer of top-performing and brilliantly crafted sports cars, SUVs, cabriolets and sedans – fit for any terrain and occasion. Rent a Ferrari in Milan and start discovering the entire region. Maybe not on the top list of cities with touristy spots like we find in Rome and Florence, this bustling second most populated city in Italy offers plenty of true Italian flare across food, culture and entertainment. It is the best destination to shop for those off-the-catwalk garments including the likes of Armani, Dolce & Gabana, Prada and Versace. Everything is conveniently located in Milan’s famous fashion shopping district called Quadrilatero della Moda or the Rectagnle of Gold as well as in the Galleria Vittorio Emanuelle, just to name the most glamorous. Milan is a leading global city and has established itself as Italy’s prime industrial, commercial and financial location. It also leads the way in international events and fairs, home to some of the largest in the world such as the Milan Fashion Week and Milan Furniture Fair. For sports fans, especially football, Milan is the home to world’s major football teams including A.C. Milan and Inter Milan. When heading to Milan during these events or taking time off to enjoy some world-class sports action, hire a Lamborghini, Ferrari or any other luxury vehicle and travel freely and in the highest degree of comfort. Rent a Lamborghini in Milan, choose a spectacular Maserati Quattroporte, Porsche or Bentley Continental GTC. As you can see so far our luxury car rental Milan service seems like a perfect fit. As the capital of Lombardy, Milan is ideally positioned as the hub for an array of picturesque day trips – perfect driving distance from the city centre. There are so many exciting stories to be told and vistas to be enjoyed with luxury or sports car rental in Milan, whether visiting for business or pleasure finding the perfect moment to relax is guaranteed. Get yourself Lamborghini rental in Milan, Hop inside a Bently Continetal GT Speed Convertable or a Maserati GranCabrio Sport wind the windows down and enjoy the soft breeze and pleasant sunshine. Rent a Range Rover Sport and take a day trip to the famous Lake Como. Beautiful Italian country side surrounds it, with postcard-perfect villages and lush green hills, with Alps overlooking in the distance, pack your day-bag and head out of the city. Lake Como is also the place where George Clooney built his Italian home. Stunning and offers the perfect terrain for driving enthusiasts, getting to the towns Como or Lecco is a perfect way to relax. Also certainly worth visiting are the towns Stresa and Arona – located on another of Italy’s famous lakes – Lago Maggiore, easily reached from Milan in a powerful SUV. For these trips choose the likes of the Range Rover or the Audi Q5 for the highest degree of stability and enjoyment when driving. Driving anywhere in Italy is a gorgeous experience, whether in winter or the pleasant weather months. Getting out of the city of Milan for a daytrip is a must during your stay. For breathtaking cultural buildings, book your sports or luxury car rental Milan service and choose to visit the old city centre in Bergamo, with medieval streets, buildings and walls and 15th century chapel. From Milan driving to Bologna is the most enticing. This city offers world’s oldest university and the entire place is bursting with youthful energy and a positive vibe. Praised for some of the best food in the country and home to everyone’s favourite Bolognese sauce, luxury car enthusiasts will appreciate the visit even more as this is where Ferrari and Lamborghini have their factories headquartered. Do not miss a chance to rent a luxury car in Italy and especially in most fashionable city.